We advance scholarship, research, education and health care by anticipating information needs, providing essential resources, and facilitating learning for the greater health sciences community. Students, faculty, staff, researchers and clinicians throughout the Health Sciences Center and the University, wherever they are physically located. Health professionals and the citizens of the state of Washington, and the Pacific Northwest Region. Libraries, health professionals, and researchers through our participation in local, regional, national and international networks. Educate and assist users to identify, manage, and evaluate information. Provide on-site and remote access to information resources of all formats. Offer a shared physical/virtual learning commons in support of life-long learning. The Libraries are committed to excellence, innovation, and service. Affiliated users can also have access to resources throughout the entire UW Libraries system as well as regional consortia. 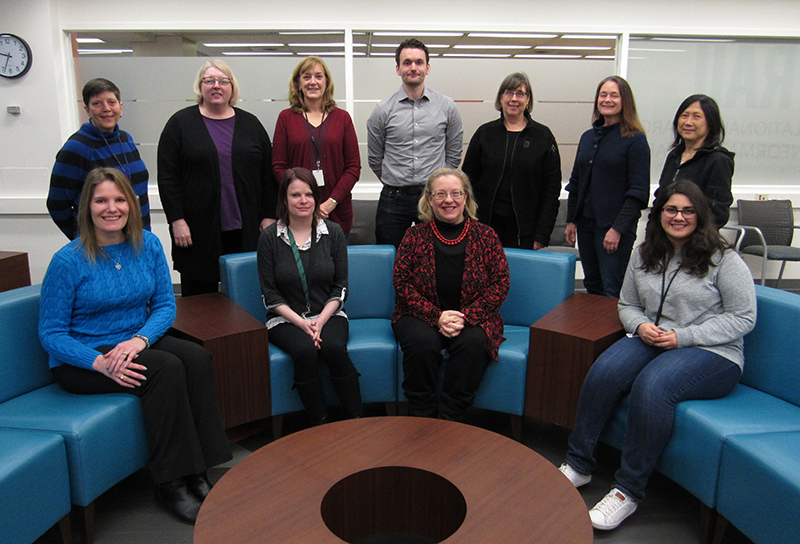 These users also have library services provided by the entire UW Libraries in addition to those provided by HSL. All of this can be accessed via the HSL website (https://hsl.uw.edu/) that includes online toolkits and research guides to help manage information overload. In addition to the online resources and services, HSL still provides the physical library space for study, research and learning. The Commons in HSL has over 166 PCs and Macs in four classrooms and open spaces along with smartboards and AV equipment. The library also provides physical course reserves, study rooms that can be reserved, models, printing/scanning stations, and after-hours access to affiliated users with keycards. Lastly, HSL manages HEALWA under contract with the Washington State Department of Health. HEALWA assures affordable, anytime, online access to current, authoritative clinical information and educational resources to eligible healthcare practitioners in WA state. This is in partnership with the Washington State Department of Health. The program is well-received by Washington State health care providers as a primary source for evidence-based information in support of patient care. As the only evidence-based, statewide health information portal in the country, this unique and forward-thinking program continues to attract attention and interest from health care provider groups within Washington State and beyond. The HSL is also under contract with the National Library of Medicine (NLM) to operate the National Network of Libraries of Medicine (NNLM) , Pacific Northwest Region program (RML). The RML ensures that health professionals in Alaska, Idaho, Montana, Oregon and Washington can obtain information for research, clinical or public health practice. It also ensures that the public health information consumer of these five states can find credible information to help the health information consumer make informed decision for themselves and their families. As healthcare changes, HSL and its librarians continue to look forward to providing innovative services and resources to ensure its users can achieve the “Triple Aim" goals of quality patient care experience, improving the health of populations and making healthcare more affordable.